Holding Fast is an account of the 2017 Christian Aid Sale at St Andrew’s and St George’s West. Got some time to spare in Edinburgh? 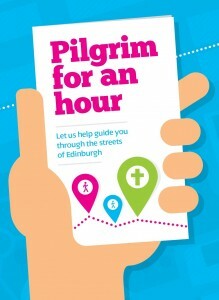 Pilgrim for an hour will let you see Edinburgh in a new light. 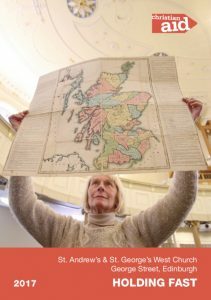 You can download the booklet here or pick up a hard copy in St Andrew’s and St George’s West, St Cuthbert’s or St John’s, three city centre churches who work together in Edinburgh City Centre. Thinking of holding an event at St Andrew’s and St George’s West? Our Weddings, Events and Conferences Brochure will show you what we can do for you.